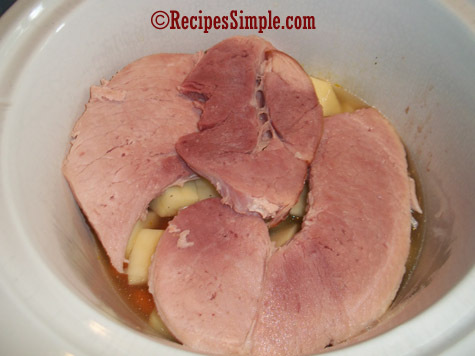 The slow cooker is the perfect way to cook ham and potatoes! So tender and delicious. I always add carrots and green beans. Serve with fresh sliced tomatoes and cornbread and your meal is complete! If you don’t have fresh green beans you can use frozen. I usually use about half the bag of baby carrots and save the rest for snacking on during the week. In skillet over medium-high heat brown Ham steak for one minute on each side. 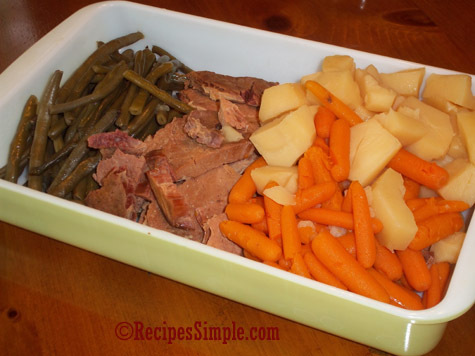 In slow cooker add baby carrots, potatoes and onions. Salt and pepper to taste. Pour broth over vegetables. 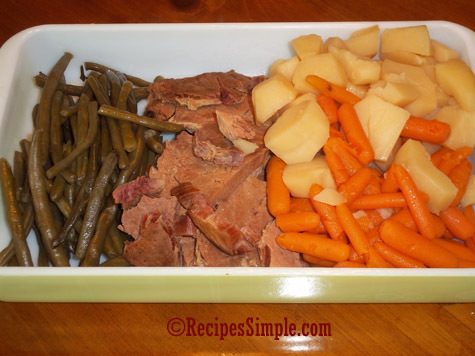 Remove bone from Ham Steak (if it has one) and place on top of vegetables. About half way through cooking time add fresh green beans on top of Ham Steak. Cover and continue cooking for remainder of time.